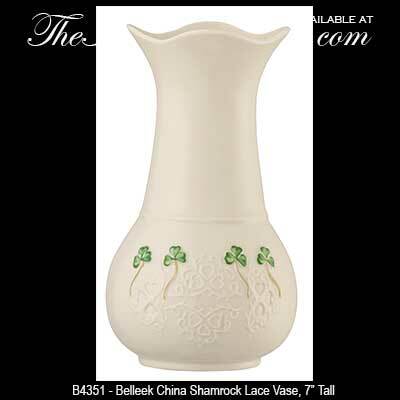 The Belleek shamrock lace vase features hand painted shamrocks along with an embossed lace motif. This Belleek China vase was ntroduced in 2015. 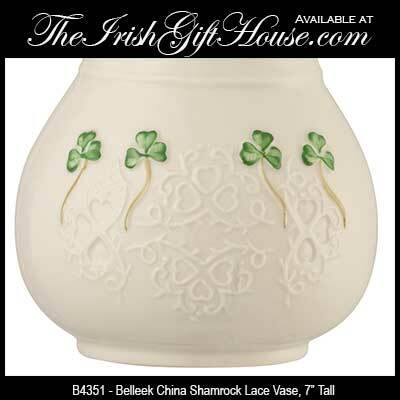 This Belleek vase features an embossed lace design along with hand painted green shamrocks. The fine china Irish vase measures 7" tall x 4" wide and it is handmade and hand painted in Belleek, Ireland.